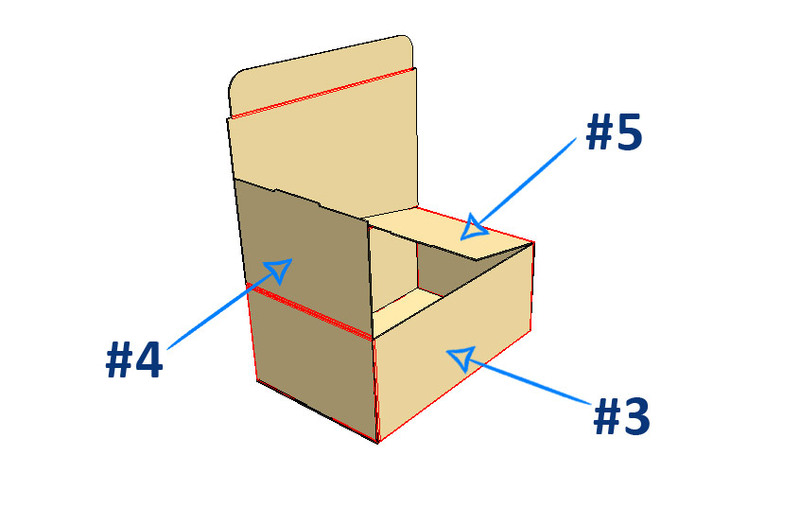 Fold In #1 panel up and over and then flat onto the bottom of box. Repeat with #2 panel to form as pictured (right). With panel #3 in place, fold panels #4 & #5 over flap of panel #3 to form box. Fill Box with foam & product and tuck top closed.